Often, we shape Jesus to fit our interests without even realizing it. I am ashamed to admit this, but the Nativity scene currently sitting in our home is about as politically incorrect as it gets. I purchased the set after I searched high and low for one that my son could play with. He is only a year old, so I wanted one that was child friendly and basically indestructible. Last month I finally found one that matched those criteria. Our Nativity scene is actually quite cute, but it’s brazenly inaccurate from a historical point of view. For instance, almost everyone in the scene is white, except for one African wise man. Inexplicably, the angel is a redheaded woman with tiny Princess Leia buns. All the other figurines are bald, except for the Virgin Mary, who is blonde. Blonde. To be honest, I didn’t give much thought to Mary’s blondeness until last week. When Fox News reporter Megyn Kelly infamously declared that Jesus was white, I looked at our blonde Mary with a new set of eyes. In that moment, I seriously considered taking a black permanent marker to her tiny head. After Kelly made her outrageous claim, the internet swung back. Hard. Everyone from Christians to non-Christians alike corrected Kelly’s historical error, since Jesus probably resembled modern day Palestinians, with black hair and dark features. We don’t know what Jesus looked like exactly, but this we know for sure: Jesus was not white. The fury over Kelly’s statement is understandable. Not only was she just plain wrong, but her error hit a very tender nerve. For much of history, white Americans perpetuated a certain historical narrative that exalted themselves as superiors, even saviors. Kelly’s version of Jesus was an echo of that revisionist approach to history. To be sure, Kelly’s comment was beyond the pale. That said, the essence of Kelly’s mistake is not all that unusual. Who among us is not guilty of making God into our own image? The truth is, it’s tempting to co-opt Jesus and His message. The re-envisioning of Jesus is most obvious when it violates actual historical fact, but there are countless subtler versions of the same distortion. There’s the Jesus who hates gay people, the warm and fuzzy Jesus who only teaches love, the self-help Jesus who came to bring your best life now, and the manly radical Jesus with hair on his chest and a revolution to lead. Not surprisingly, most of these Jesuses look much like the Christians promoting them. Not everyone who embraces the “hard teachings” of Jesus, for example, is necessarily committed to the whole person of Christ. Some Christians like judgment because they are, quite frankly, judgmental people. That’s what makes the Incarnation both redemptive yet dangerous. On the one hand, God came near. He took on the frailty of human nature, making possible an unprecedented intimacy between Him and us. His humanity laid claim to our humanity in such a way that his resurrection made possible our resurrection. But there is also something dangerous about the Incarnation. The same humanity that enables intimacy can also become idolatry of the self. Each of us can recognize some aspect of our own humanity in Jesus Christ—and that is good news!—but we can just as easily fixate on that reflection and exalt it inordinately. When this happens, we are no longer looking at the complete person of Jesus, but only a mirror of ourselves. That’s why Kelly’s comment, though wildly inappropriate and wrong, is not all that surprising. The seed of her error is in each of us. The beauty of the Incarnation is that Jesus resembles all of us while resembling none of us. That tension is the secret to really knowing Jesus. Though His humanity is the key to our salvation, the moment we make His humanity into our own image, rather than make our humanity into His, we make room for idolatry, division, exclusion and even oppression to gain a foothold. That’s why Christmas is about so much more than a sentimental holiday; it’s the remembering of a radical act. By sending His Son into the world as a vulnerable baby in a lowly manger, God upended everything. He reversed everything the world new about power and might. The Christ child was revolutionary in that sense, and none of us is safe from that upending. No matter how much we think we, or our theological camp, resembles Jesus, He means to overturn all our presumptions. 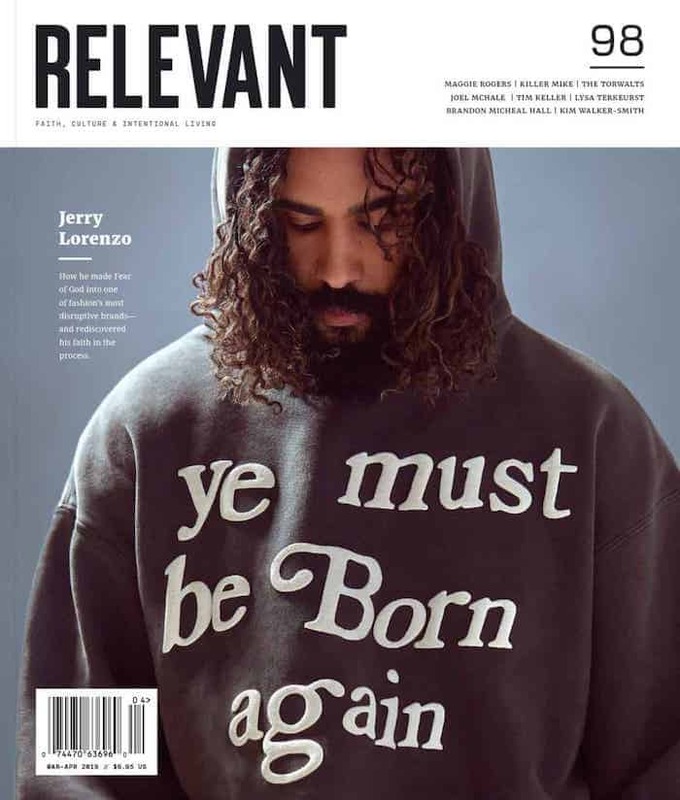 Megyn Kelly was wrong, Jesus was not white. But before we dismiss her claim and return to the busy Christmas season, we should pause and consider our own co-opting of Christ. How have I, like Kelly, tried to make Jesus into my own image? For now, I’m going to hold on to our politically incorrect Nativity scene. Over the years we will undoubtedly acquire other Nativities with different looking Jesuses, and I will one day talk to my son about them. In many ways the baby Jesus is like my baby boy, but He is also something wholly other. I want my son to know that.